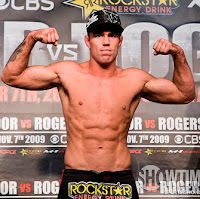 September 2010 | MMA Fighting Events Videos Techniques UFC Fight Picks and News. Last week we decided to showcase one of the biggest aspects of MMA, the ground game (a.k.a submission grappling, submission wrestling, ground fighting, bjj, grappling) in The Best From Grapplers Quest Part 1. Here's the second installment of the best submissions from the organization that hosts the biggest ground fighting events worldwide, Grapplers Quest. Enjoy the videos. Check out Fred Thompson vs. Fred Boyle. The fight ends with one of my personal favorite submissions, the arm triangle. Here is James Guyton vs. Shane Bravard going at it at the UFC Fan Expo back in June. This match between Ryan hall and Wesly Gann took place last year in Las Vegas in the World Series of Grappling 2009. 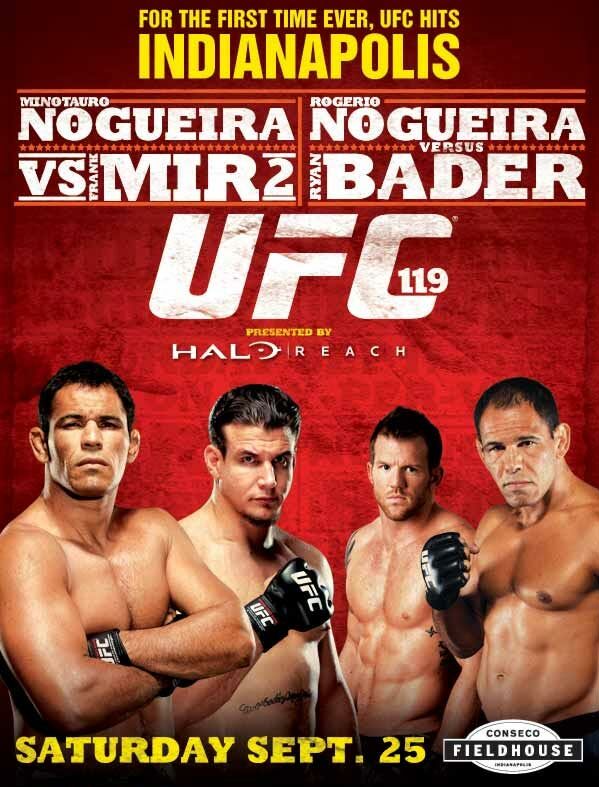 This Saturday, September 25th, the UFC, the top dog in MMA, returns with UFC 119 in Indianapolis. It's not the greatest card in UFC history, but nevertheless, MMA fans are in for some interesting match ups. Frank Mir gets a chance to get back in title contention, facing off against former Pride Fighting Championship superstar Mirco Crocop. 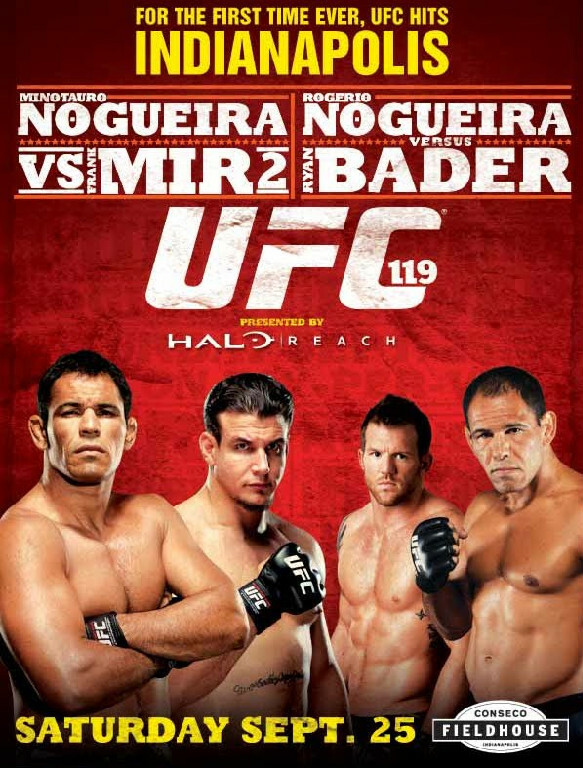 Another Pride veteran, Antonio Rogerio Nogueira, a.k.a Lil Nog, gets a chance to climb up the UFC light heavyweight latter by facing a tough opponent in undefeated Ryan Bader. Bader is coming off a win where he finished off Keith Jardine with some vicious chingasos. Sean Sherk, former UFC champ will be returning to the octagon after a year lay-off and facing off against a hungry young fighter, undefeated Evan Dunham. Those of you that know MMA, know that the ground game (a.k.a submission grappling, submission wrestling, ground fighting, bjj, grappling) is a big aspect of the sport. Grapplers Quest holds the biggest ground fighting events worldwide. Here is a collection of some of the best from Grapplers Quest. Check out the videos and enjoy what we here at Chingasos MMA refer to as Chingajitsu! Now that's a nice rear naked choke! This video is from the UFC Expo in Las Vegas earlier this year. Ricco Rodriques goes up against the bigger Robert McConkie, but Ricco's Chingajitsu prevails and he finishes with a nice armbar. In this video Alec Kearns and Paul McDonough battler it out at the 2010 Nationals. That kimura was locked on tight! Check in soon for more exciting matches from Grapplers Quest in Part 2. What happens when you don't tap on a guillotine choke in MMA? It is off to dreamland! If you are a top MMA and UFC prospect, it is actually more of a nightmare. A few years ago Savant Young put Kendall Grove through that nightmare. Fortunately for Grove, he was able to bounce back and make it into the UFC. Savant Young still has not been given a shot in the UFC, but what a great match it would be to see these two go at it again. Kendall Grove would get what every fighter that has lost wants, a shot at redemption. Savant Young, on the other hand, would get a chance to prove that it was not a fluke and that he belongs in the UFC. Unfortunately, we are in the age of MMA that would not allow such a matchup. Kendall Grove now fights at 170 lbs, and Savant Young fights at 145 lbs. A shot at redemption for a UFC fighter always makes for an interesting matchup though. In any case, check out the video to see the way the first fight went down. This Wednesday, September 15 the Ultimate Fighter show gets started right after UFC Fight Night 22. Headlining UFC Fight Night 22 will be Nate Marquardt (29-8-2) vs Rousimar Palhares (11-2-0). This fight is going to be exciting as Marquardt is most likely going to try his best to keep it standing and take out Palhares with some sharp chingasos!. Palhares is a beast on the ground, and if get's there, good night Marquardt. My pick for fight of the night is Charles Oliveira vs Efrain Escuerdo. Oliveira has an outstanding ground game and if Escuerdo isn't able to keep the fight standing and deliver explosive chingasos, I see him taking his second loss. Once UFC Fight Night 22 wraps up, the new season of the Ultimate Fighter will kick off. It should be another exciting season as George St. Pierre and Josh Koscheck coach on opposite sides. The armbar submission was once one of the most feared submissions in MMA. Not only is it painful, it can cause serious injury if you do not tap in time. Lately, you do not see it pulled off in top level MMA, such as the UFC, as often. Reasons for this include fighters training submissions and submission defense a lot more, stand up fighters becoming better at takedown defense and avoiding being taken down, and to add to the difficulty of pulling an armbar off, is a sweaty and therefore slippery opponent. For more armbars in MMA, check out Armbar in Action.